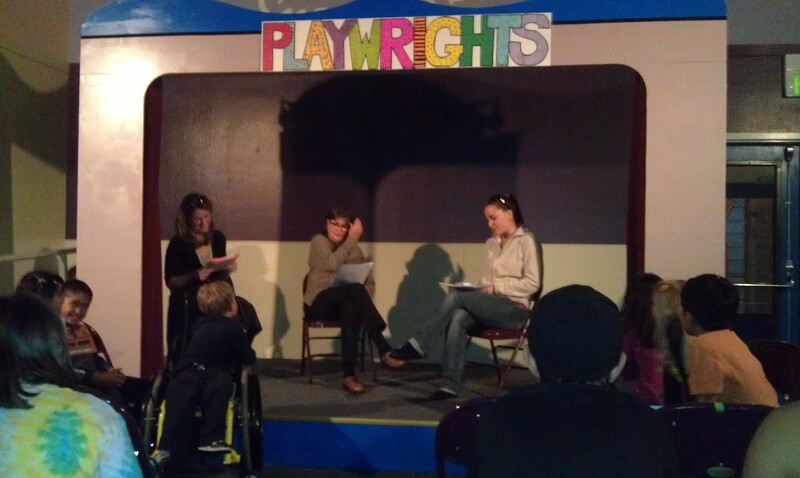 On November 21 friends and families gathered to hear a reading of two plays written by students at the Novato Youth Center! First through fifth grade playwrights collaborated to write Sucked In and Sparkles and Sugar. 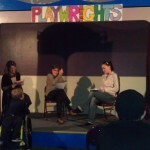 Playwrights sat onstage in front of a packed house and watched surprise celebrity guest actors (their teachers from the center!) read their work. 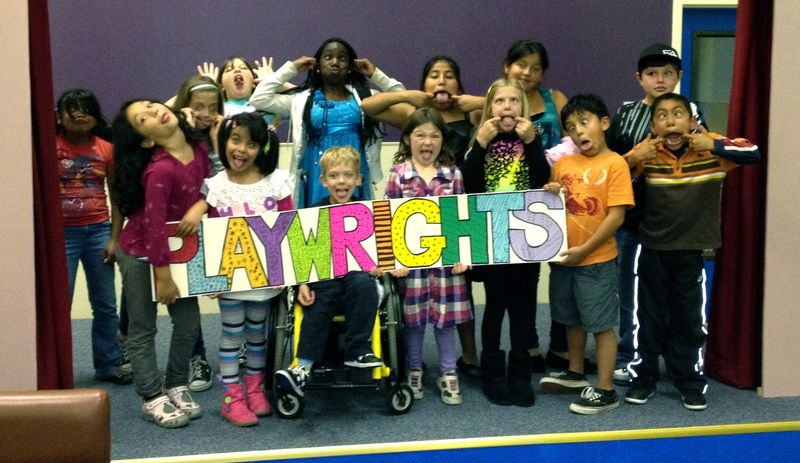 It was thrilling to watch the young playwrights’ faces as they experienced their own words brought to life. Crazy creative at the Novato Youth Center! This exciting evening was the culmination of a ten-week Youth in Arts residency at the Center. Mentor Artist Melissa Briggs led the young theatre artists as they learned the elements of theatre and playwriting through improvisation, drama games and imaginative writing. Melissa’s program (inspired by the Playmaking curriculum at the 52nd Street Project in New York City) is designed to publicly validate the children’s creativity, maximize awareness of their bodies, voices, senses and feelings, and ensure a positive experience expressing their own authentic voice. The fourth and fifth grade playwrights wrote Sucked In. It is about two arcade game nemeses who get – you guessed it – sucked into a video game. In the world of the video game the human kids are trapped on a “desert island” and have been transmuted into animal characters. Stitch, a “long ears doxin dog”, and Lulu, “a girl sea turtle” must stop fighting and learn to “work as a team hard enough” to find the portal back to their human form and the real world. NYC staff reading "Sparkles and Sugar"
This project was made possible with the generous support of the Marin Community Foundation.